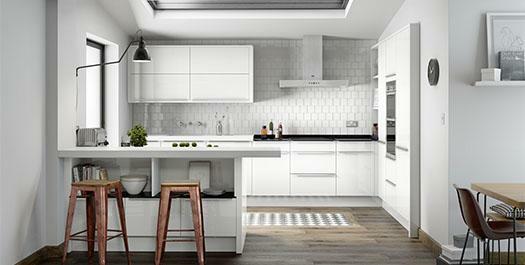 Onlinekitchenstore offers a large range of High Gloss and Matt Lacquered, flat slab doors. Made from an 18mm MDF core and factory sprayed, we offer 8 colours as standard and 25 special paint to order colours on request. These doors will require a seperate handle to be fitted to them. 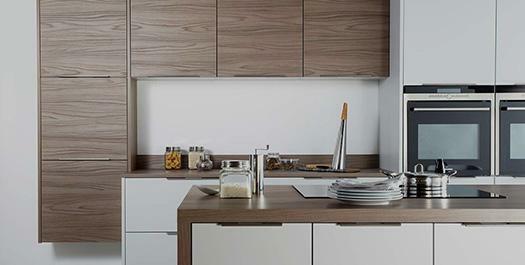 (Also available in true Handleless sizes). Click here for full colour chart. 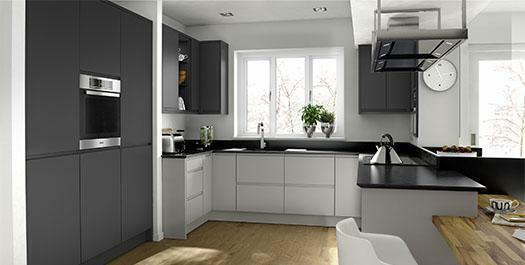 Onlinekitchenstore offers a wide range of ‘J pull ’ Handleless type, High Gloss and Matt Lacquered doors. Available in 8 colours as standard and 25 special paint to order colours on request. These doors are a MDF core and 22mm thick as standard. 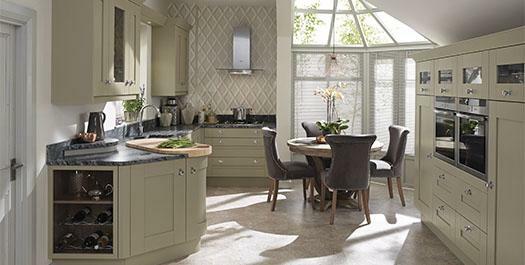 We also offer true Handleless kitchens, quotation available on request, please click here for full details on this. Click here for full colour chart. 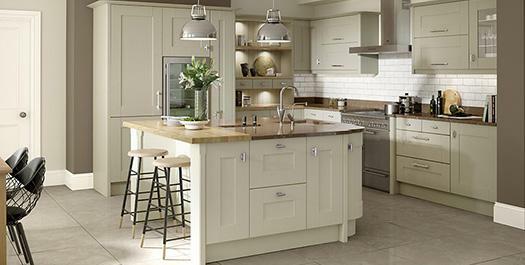 Onlinekitchenstore has various shaker traditional painted doors available in either 22mm solid Ash timber for a nice painted grained finish, Plain 22mm MDF for a smooth painted finish or overpainted 22mm vinyl wrapped finish for a more cost effective grained effect look. Available in 8 standard colours and 24 paint to order colours on request. **Overpainted vinyl doors only available in standard finishes** Please click here for full colour chart. 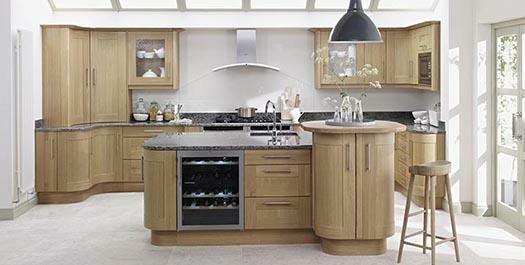 Onlinekitchenstore offers various solid 22mm thick Oak timber shaker style doors which can be mixed with other doors to create a feature part of the kitchen.